I was at an event this week looking at the progress of women in Tech and issues around gender bias in the workplace. One of the key takeaways for me was how language is powerful in creating unconscious responses about gender appropriateness for roles in the workplace. We were shown a job advert and asked to identify the gender bias; words such as ‘dominant’, ‘challenging’, ‘boasting’ were identified as masculine language. It was clear that for many of the women attending, this language was not off-putting. But they are probably women who have advanced in male dominated workplaces anyway. The issue is that such language does dissuade many women for applying for jobs and in turn that reduces the pool of women for selection. So we need to heighten our awareness of the language used in and about our workplaces. I found this info graphic* thought provoking. Have a look and ask yourself how often these words are used about women in your workplace. *Catalyst. 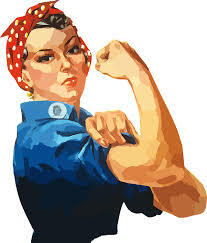 Flip the Script: Women in the Workplace. New York: Catalyst, February 7, 2017. 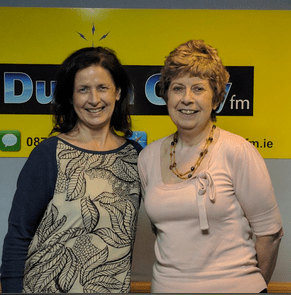 Click on this link to hear an interview with Ellen Gunning on her Mediascope show in which I discuss Whistleblowing, the Irish Protected Disclosure Act and its implications for Irish organisations. We previously looked at some of the ethical dilemmas that technology is bringing down the line for business leaders. In this post I want to focus on some of the ethical dilemmas business leaders face due to the changing nature of work. One of the major issues we looked at with technology is the rise of artificial intelligence and the impact this is going to have on jobs, especially middle-grade jobs. Some researchers have predicted that 47% of US jobs are at high risk of automation over the next 20 years. Middle-grade work will be valuable enough to be worth replacing with robots leading to a potential polarisation of jobs. The people left working will be doing either very menial and badly paid work (so not worth replacing with a robot) or incredibly high-level work (too complicated and expensive to replace with a robot). The message to the young is clear – get educated to as high a level as you can and never stop learning! With middle-grade jobs taken over by robots we have the potential for a generation left behind and unable to provide for themselves leading to massively increased inequality in society. For example supermarket or manufacturing plants could choose to automate and while this could help cut costs, offer better returns to shareholders and better prices to consumers, can the firm maintain its social licence to operate in communities devastated by unemployment? It’s easy to talk of re-skilling but much harder to do effectively. I argue that we have still not cracked it in terms of providing our children with an education that will make them adaptable and able to pivot in their careers as they will undoubtedly be required to do. We certainly haven’t worked out how to retrain adults working in jobs that will inevitably be automated and enable them to participate in the new economy. The nature of the work contract is also changing dramatically. The days of staying with one company for a long time are gone. Movement of employees brings headaches for business leaders who are trying to ensure business continuity and protect intellectual property. But as well as this, increasing numbers of workers are freelancers with so-called portfolio careers. In fact the Dean of the Trinity Business School, Professor Andrew Burke who has done a great deal of research in this area, says freelancers are the fastest growing segment of the workforce over the past 15 years. As his research has shown, freelancers can bring great benefits to businesses, can allow them bring new business ideas to market efficiently, can allow business trial new streams and bring in valuable short-term expertise. It can also benefit the freelancer, allowing them to get involved in projects that interest them and build depth of skill and knowledge. 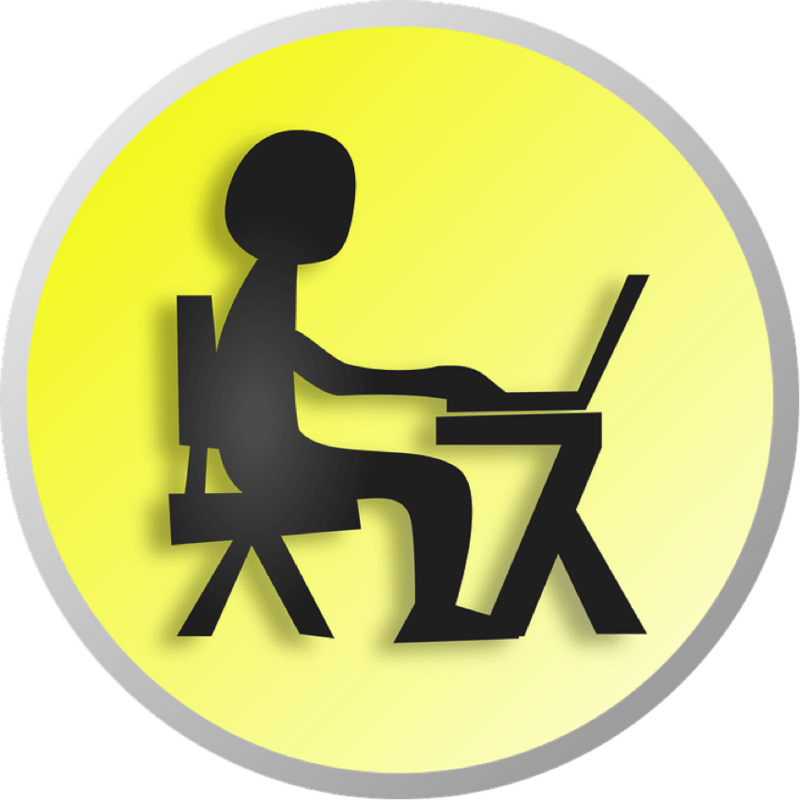 But use of freelancers also brings major challenges for business leaders who want to create a strong ethical culture. How do you maintain your history and tradition without continuity among your employees? How do you get someone on a short-term contract to buy into your business’s values? And indeed how do you ensure that the work they do and the decisions they are entrusted with are responsible and ethically sound? What duty is there for leaders of firms that utilise freelancers and contractors to ensure that these people are reasonably protected from risk? Defined benefit pensions are a thing of the past for most employees but there are still pension plans and some kind of fall back in the case of serious illness. Not for the freelancer. And yes I’d agree that is a responsibility borne by the freelancer. An utterly unscientific survey of some people I know doing freelance work has left me shocked at the lack of good pension provision and lack of serious illness cover. If the proportion of freelancers continues to grow, we face the possibility of a generation without the means of supporting themselves in old age. The social disruption of this could be enormous. Older consumers without money to spend are not good for business. Neither are middle years consumers who lack disposable income due to the strain of financially supporting their parents. So although it may not be our responsibility to care about provision for these freelance workers, (don’t we pay them a premium to place the responsibility on them?) maybe we need to find a way to make it happen. Is there a case for developing contracts with freelancers and contracting firms that clarify the percentage of the freelancer fee that is intended to be for future pension provision and risk mitigation? It would also be a way of focusing minds on what is a truly appropriate fee for freelance work. The use of technology platforms to broker business relationships has led to increased opportunities for people to generate new income streams (Airbnb and Uber are well known examples) by participating is the so called ‘gig economy’. This new form of working is for many people a lifeline, allowing them to generate income from existing assets or choose when it suits them to give up their time for income. But where to draw the line in terms of responsibility has become increasingly blurred. A recent Sunday Times article highlighted that many Uber drivers had to work very long hours to make a reasonable income (or even an unreasonable one) leading to concerns about tiredness and safety. Is monitoring the hours worked the responsibility of the individual driver or the company? Morally, it’s both. But is it reasonable to expect the individual driver who is struggling to earn enough to pay his bills to pack up and go home after a set number of hours. Regulation and the law will take some time to catch up with developments. But a savvy and responsible business leader should be considering these issues in a context that is much wider than mere cost minimisation and profit maximisation. The UK government’s recent decision that Deliveroo must treat delivery workers as employees and pay them minimum wage is an indicator of the efforts to impose regulation and find a path through this new way of doing business . The expectations have also changed for the CEO role. With CEO average tenures reduced to only about 5- 8 years in the USA, there’s a lot of pressure for quick results over responsible nurturing of the company. The shortened lifespan of a CEO has led to inflated salaries and bonuses to compensate and a growing concern about the increasing pay gap between the top of the tree and the average worker. In the USA we are seeing a shrinking middle class and increases in income inequality. Large numbers of low-income citizens are not good for business long-term. The concept of fairness is deeply ingrained in human beings. We tend to react to perceived unfairness so greater disparity will lead to social unrest and a backlash against industries or companies seen as particularly guilty of promoting such division. How Should Business Leaders Approach These Issues? Is what we are doing fair? Are our employment practices reducing or increasing risk and what is their effect on the long-term sustainability of the business? What impact will our employment practices have on society? 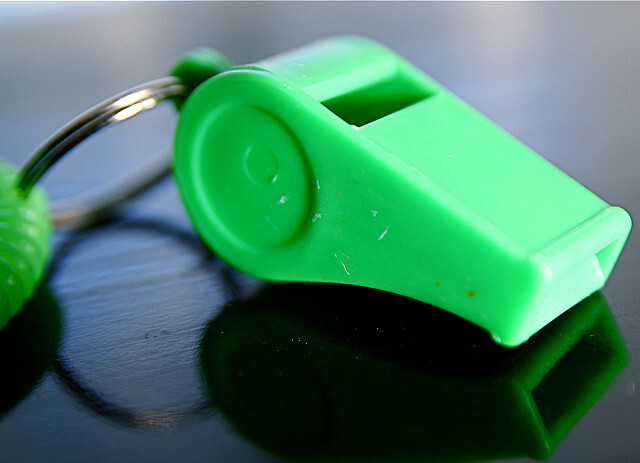 Are tough targets the cause of unethical behaviour? VW? A report today on the Irish Times website about the VW emissions scandal finds the major catalyst which led to a ‘chain of mistakes’ was the introduction of tough emissions regulations in the USA. The company had introduced a big push on diesel sales with presumably some pretty tough sales targets. The Irish Times report tells us that “Engine developers could not find a way to meet permissible means to comply with tough US emissions regulations, at least in the timeframe and budgets available. That led to the installation of the cheat software that could determine whether a vehicle is on the road or a test bench.” VW’s Chairman is reported by the Guardian to have said that “engineers had installed defeat devices in diesel engines after realising they could not hit emissions targets by permissible means”. We don’t have to look far to see examples of stretch targets being pinpointed as the cause of unethical behaviour. The sales person who brings forward an order to meet quarter-end figures, the lawyer who overstates hours spent on a client’s file to meet billing targets, the acceptance of risky mortgages to meet lending targets. In the auto industry two famous cases stand out. The fraudulent behaviour by Sears auto mechanics in doing un-needed work on customers’ cars in order to meet performance quotas is outlined by Lynne S. Paine in her seminal 1994 HBR article on organizational integrity. The famous case of the Ford Pinto, made to a strict price and weight target is often referenced in the business ethics literature. A saving of only a few dollars on the car’s fuel tank resulted in many deaths and horrendous injuries. So tough targets appear to be potentially problematic. But I think we’d all agree that we need targets to push ourselves to achieve. Most of us know the great feeling of having managed to make a difficult target. It’s exciting, it gets the adrenalin going and it builds confidence in our own abilities, setting us on course to do even better. As managers we need to set targets to ensure the business achieves what is required. A world without targets would not get us where we need to go. Why else the time and effort being put into the COP 21 goals? So what dangers do we need to be aware of as managers when we are setting goals for our businesses? 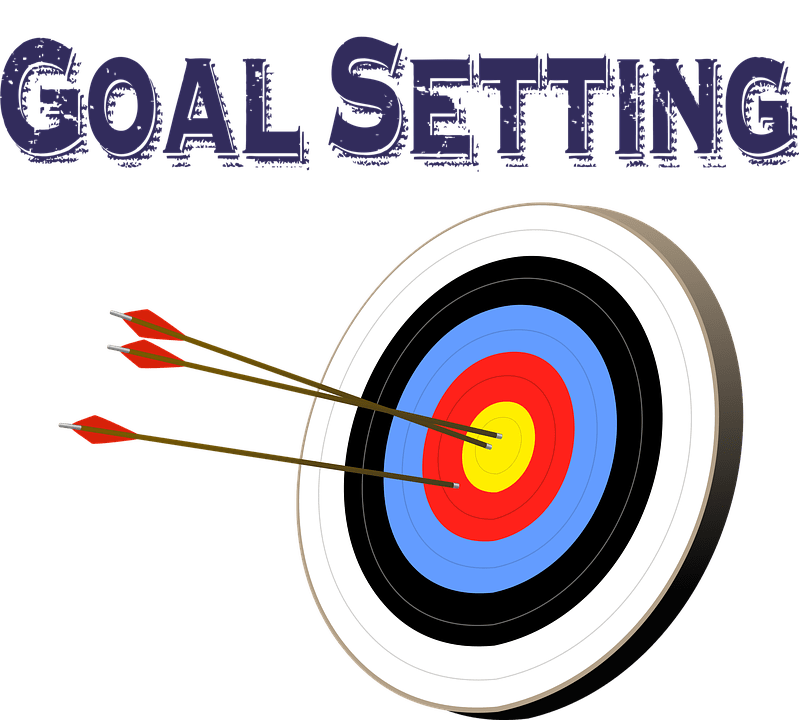 Over emphasis on a specific goal – Targets are often set as a response to a particular business need such as meeting a deadline date or improving financial performance, maybe even with a view to saving the company which makes goal achievement even more urgent. The danger here is that we become over focused on a narrow target rather than considering the broader impact on the business. Ask yourself if you are over-simplifying the target without fully considering what you want to achieve e.g. increase sales of diesel models this year rather than maintaining brand reliability and trust which will in turn yield strong sales figures. Over emphasis on goal achievement without considering how – If the achievement of the goal becomes the main focus it’s easy to lose sight of how it’s being achieved. This leads to a ‘just do it’ mentality which can be very dangerous as people can feel they have been given permission to do whatever it takes even if they cross a line. The behaviours have to matter too and we need to focus on more than a very narrow behaviour set. Behaving unethically has to be clearly and emphatically understood as unacceptable. So as managers we need to make sure we have the how we want to achieve conversations as well as the what we want to achieve conversations about targets. Making the non-achievement of goals too scary – If we make the non-achievement of goals so scary that people feel they have little choice but to bend the rules we probably shouldn’t be too surprised when they do. Sears mechanics were reportedly scared that they would lose their jobs if they did not meet the set targets. We need to remember that scary can be a perception as much as a reality. So if people feel they might lose their jobs for example, that’s enough to influence behaviour, even if there is no actual intention to let people go. Understanding the potential for humans to self-rationalise bad behaviour – I don’t know how many times I’ve come across bosses shocked at discovering that the employee they perceived as ‘good’ had engaged in bad behaviour. In relation to setting targets we need to understand that people can self-rationalise their bad behaviour if it leads to the ‘good’ outcome of achieving the goal. There is also evidence to suggest that people close to the achievement of a stretch target are more likely to do this than those some way off the target. So maybe you need to be thinking about the high performers and how you might unwittingly be encouraging them to rationalise doing something wrong. Many years ago I saw examples of bad and good goal setting in action that have stayed with me ever since. In one company there was an admin team whose primary job was to process documentation. Their secondary role was to take calls from other departments with customer queries. In a push to deal with a backlog of documentation a stretch goal was put in place to encourage staff to make additional effort. A bonus was to be paid to the person who processed the greatest number of documents with the lowest error rate. Unfortunately the secondary role of the department was forgotten about. The winner of the award made massive inroads in the backlog with a near zero error rate but the rest of the team felt aggrieved that she achieved this by ignoring incoming calls that had traditionally been informally shared out and answered by all. The target had been set to deal with a very specific problem without fully considering the broader needs of the business and the behaviours that supported that broader need. Elsewhere, a sales manager under enormous pressure to achieve his target thought about the behaviours he needed in his team to have any chance of success. The economic environment was tough, he had a mix of very experienced sales people who were close to achieving their individual targets and very new sales people who were nowhere close to theirs. He saw the danger that the experienced people could achieve their own target and then stop bothering and that the inexperienced ones would just give up altogether. So he put an extra team incentive in place – every team member would get an additional smallish bonus if the overall team target was achieved. The experienced people had a reason to overachieve and to help out their less proficient colleagues. The people who had no hope of getting their individual targets could still get some bonus by bringing in sales and of course the added advantage was that they built some pride and confidence in what had appeared to be a pretty hopeless situation. In the first situation the culture of the department was badly damaged, in the other a stretch target built and cemented a culture of team work and shared success in a department that was traditionally populated with people focused on individual success. Oh, and they smashed their target contributing to the success of the business even under difficult trading conditions. Zero hours contracts strictly mean that a worker has to be available to their employer but gets no guarantee of any work. 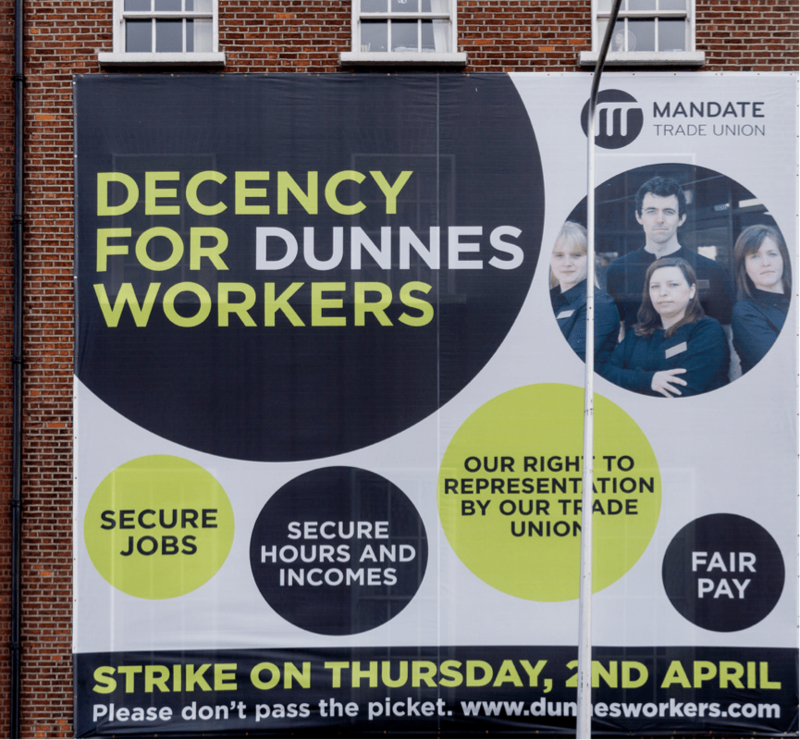 More common in Ireland are banded hours contracts which guarantee a minimum number of hours per week but not necessarily when those hours will be rostered or how many hours will be assigned from week to week. The recently published report carried out by University of Limerick found that what they termed ‘if and when’ contracts were more prevalent in Ireland. The hours of work are not guaranteed but neither does the employee have to make themselves available. These types of contracts tend to be more common in low paid jobs in the retail and service sectors. So what are the pros and cons of such contracts? Clearly, they offer businesses maximum flexibility to staff up or down depending on how busy they are. They are often touted as providing flexible work for those who don’t want full time jobs, such as carers, parents of young children (by which I suspect the proponents actually mean mothers) and students. While I appreciate that many people don’t want full time work, I suspect most people have some kind of life they need to fit around their work. I am frequently amazed by the implication contained in reporting on this subject that low hours flexible contracts are particularly useful for students. This is suggesting that it’s okay for students to drop their college work at a moment’s notice as though their classes have little value. Disadvantages for workers in this situation include the inability to plan social events or other appointments, difficulty in sorting out child or elder care, the extra costs associated with arranging such care at short notice and even commuting to a workplace that might then decide to send them home after a couple of hours if it isn’t busy. It’s not inconceivable that a worker would be left at a net minus if they organise childcare and pay a bus fare to work only to be sent home after a couple of hours. These workers are also prevented from accepting work from other employers since they don’t know when they’ll be available. Their uncertain hours mean uncertain pay and with that worries about their ability to meet bills, secure tenancies and little likelihood of qualifying for loans or mortgages. Although these contracts are often presented as offering maximum flexibility to both employer and employee, this clearly ignores the imbalance of power that exists. These contracts are most prevalent in low paid work. The workers know that they are easily replaced and are therefore operating at a disadvantage meaning they are scared to protest against bad treatment and unwilling not to show up when asked. Saying that ‘if and when’ contracts address this ignores the reality that workers are afraid of being seen as uncooperative and disobliging if they refuse to come in. I’ve seen the panic in some of my students’ eyes when they get a text message from their employer ‘asking’ them to come in. Rostering tends to be done at business unit level by the local manager so the system of low hours or ‘if and when’ contracts facilitates a bullying or discriminatory individual abusing their power behind the shield of good budget management. I’ve seen examples of a store manager giving the prime shifts to the workers of their own nationality while the workers of another nationality always get the less desirable hours and/or fewer of those hours. Low hours contracts are not just the preserve of minimum wage workers and are commonly used for part-time lecturers in third level educational institutions as well. I am one of those lecturers and while I have certainly seen the situation abused in some instances, lecturers tend to have choices denied to many low hours contract workers and have a much greater negotiating power to organise hours that suit them. The power balance is a great deal more even. What does it mean for society? It’s often argued that the good value we get when shopping is linked to retailers’ ability to staff appropriately without any wastage. While there is a degree of truth in that, we also need to recognise that as a society we still pay for those workers, just not at the tills. Such working hours likely cost us eventually in stress related sickness, the need for additional social security benefits, housing supplements and various other costs related to the care of the families of such workers. The students that miss classes and need to repeat subjects are also subsidised by the taxpayer. It seems to me that we are permitting businesses to get away with poor planning and make additional profits through the use of such contracts at the expense of the taxpayer. So what can be done? I’m not suggesting that we get rid of flexible working arrangements. I understand the pressure on margins and the desire to be responsive to customers (but if Primark can work without banded hours contracts I really don’t see why other businesses can’t manage it). I also understand that for some staff the flexibility of part-time work is wonderful. I’m not against part-time work at all but I am against flexibility being used as a reason to leave a lot of (low paid) workers in contracts that are unbalanced in their fairness with most of the power being in management hands. So we need to find a way to address the power imbalance. I suggest that we could go further and should also distinguish between large businesses and smaller ones. One hopes that in smaller businesses there is greater communication between worker and manager leading to easier collaboration in the setting of shifts. Small businesses also lack other advantages enjoyed by bigger operations. Larger businesses have greater ability to re-allocate workers to other tasks if they are not busy. They may also have better ability to plan. For example a large-scale retailer has vast amounts of sales data at their disposal which if analysed enables them plan staffing requirements very effectively. For a larger business it should be possible to give staff their shifts a week in advance to enable workers plan more easily. It should also be possible for larger businesses to seek to accommodate workers preferences to some extent at least. If local managers are in charge of setting rosters there should be some kind of system for Head Office to check they are carrying out their duties appropriately and not using their power to bully or intimidate workers. Maybe as shoppers we should start voting with our feet. Ask to speak with the manager of your local supermarket which is probably where you spend most money in a business which is likely to use these contracts. Tell the manager your concerns. Ask them what they are doing to ensure workers can plan more effectively. Ask them how they use their sales data to predict their staffing requirements. Ask them if head office conducts checks to help guard against abuse of workers by rostering managers. Ask them why they can’t follow the example of Primark (Penneys). If enough of us show we are concerned the message might start to filter through to the senior management. So glad I did the almost unthinkable for me (on a day when I didn’t have to) and hauled myself out of bed at 6am to go to the MBA Association of Ireland breakfast event at the offices of Mason Hayes Curran. 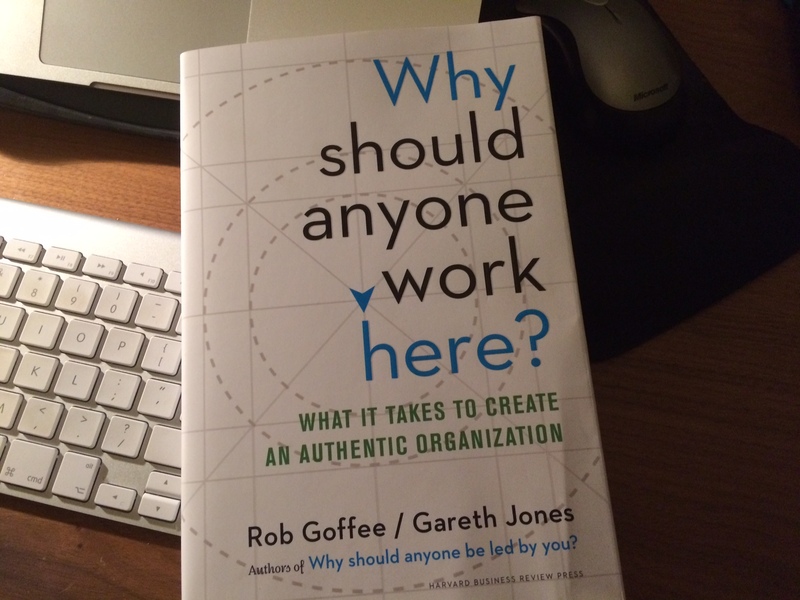 Gareth Jones and Rob Goffee gave a talk on some of the subject matter from their very recently published book Why Should Anyone Work Here? What it Takes to Create an Authentic Organisation. I use some of their research in my teaching (delighted to see a number of my past and current MBA students at the event) so it was a great opportunity to hear the views of the sages in person. An added extra was the fact that they are funny, self-deprecating and very entertaining. So if you get a chance to see them in the flesh, don’t miss it. They talked about what people see as the key attributes of the organisation of their DREAMS and what that means for us in managing and leading. D – Difference, allow for difference in your organisation and let people be themselves. R – Radical honesty, tell them the truth before they find it out elsewhere. E – Extra value, add value to employees, equip them with skills, help them reach their potential, don’t exploit them. A – Authenticity, so people know what the organisation stands for and it doesn’t change with the wind. M – Meaningful work. This is something I’m passionate about as I believe it’s part of the human condition to want to feel that we are doing something worthwhile. Rob pointed out that meaning can be found in what many people would see as menial jobs. We shouldn’t impose our standards of meaning and purpose on others. It reminds me of the famous story (myth?) of the janitor in the NASA Space Center who told President Kennedy he was helping to put a man on the moon. S – Simple Rules, a few rules that people can agree on and follow easily rather than a fog of bureaucracy which is confusing and in reality may lead to people looking for the loopholes or unwittingly breaking a rule they didn’t even know existed. If you want to find out more you’ll have to get their book. I got one this morning and I’m looking forward to delving into more detail.